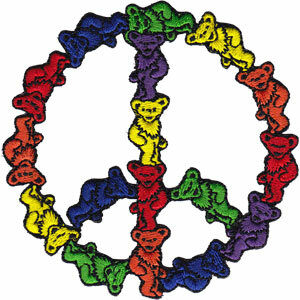 Patch measures 3" round and has Grateful Dead dancing bears making a peace sign. This embroidered patch can be iron on or sew on. Officially licensed Grateful Dead merchandise.